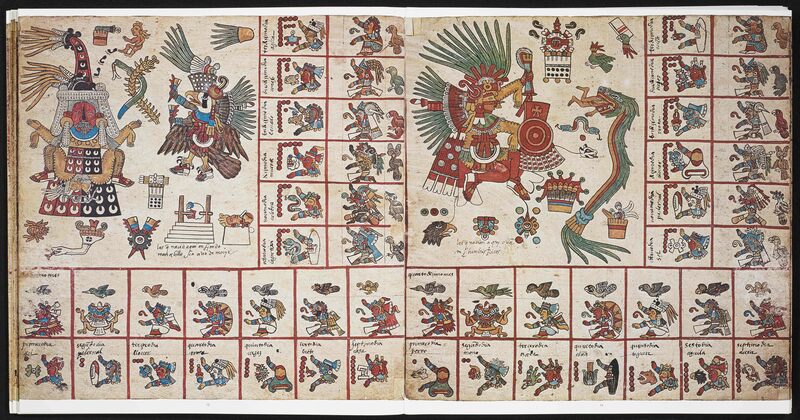 "Expressions of the Pre-Hispanic Universe"
"As Far as This the Ships of Ferdinand, King of Spain, Have Come"
"We Shall Tell What We as Eyewitnesses Found to be True in Those Times"
"Foul Murders and Other Barbarities" or the "Actions of [a] Hero"
"The Colonization of This Land"
Facsimile (1991) of the Codex Borbonicus. Original manuscript at the Bibliothèque de l'Assemblée Nationale, Paris. Introduction and explanation by Ferdinand Anders, Maarten Jansen, and Luis Reyes García, “El libro del ciuacoatl,” KU Libraries Exhibits, accessed April 22, 2019, https://exhibits.lib.ku.edu/items/show/6945.